Back in 2015, I was lucky enough to be able to do a podcast with Steve Matthes for Racer X online. 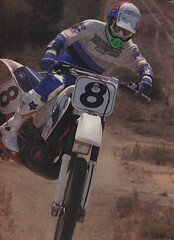 I have been working for Steve since 2011 and regularly write for his site PulpMX.com. In this podcast, Matthes and I talk about working for him, my crazy magazine collection, social media and restoring classic bikes. Enjoy.